I am so excited to be here today guest blogging about working in a departmentalized elementary school! 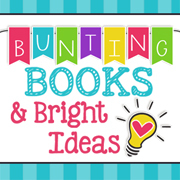 I am Christina from Bunting, Books, and Bright Ideas. I teach 3rd grade ELA in Michigan. I’ve been doing 3rd grade ELA for two years now (I taught 1st and 2nd for six years before that!) and LOVE teaching one subject all day. 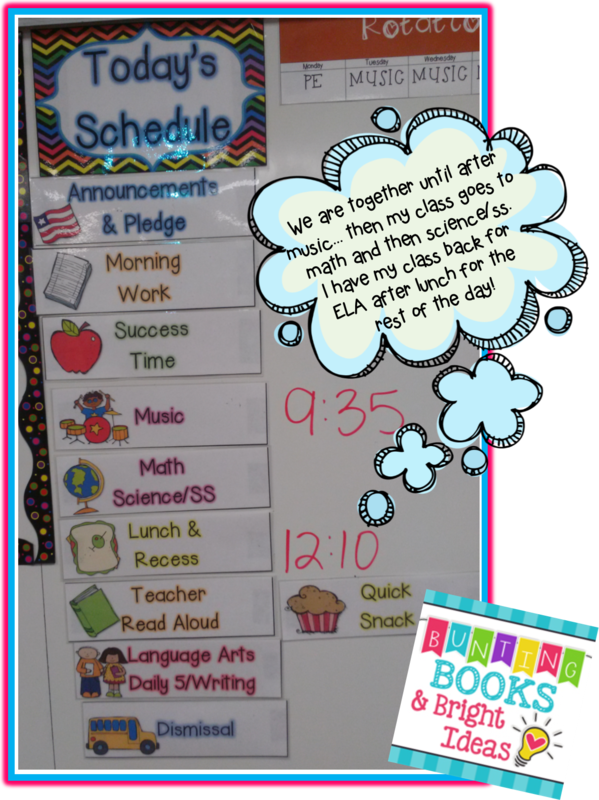 I’m so thankful to have the opportunity to share how it works in my school on Rachel’s blog! Our day at school starts out just like yours probably does: We do morning work, morning meeting, and AR for about an hour. Then we have our intervention time for 30 minutes. We switch groups about every three weeks and mostly work on math interventions. There are four teachers on my team. Two of us teach ELA. One teaches math, and one alternates between science and social studies. Since there are two ELA teachers, ELA is a double block. So, we each teach language arts to two classes while the math and science/social studies teachers teach all four groups of 3rd graders each day. From 10:20 until 12:05, I teach language arts to one group. During that time, my own class goes to math and then science/social studies. At 12:05, 3rd grade goes to recess and lunch until 1:00. After lunch, I read to my class for about 20 minutes and then do the ELA block with my own class. I love this set-up! I love that I can focus on doing one thing extremely well all day long. I love that literacy is my passion, and I can share it with kids all day long. I love that my own students get to experience three different teaching styles and bond with so many different teachers during the day. I also love that our students get their core subjects every day. When I taught self-contained, I loved it…but it seemed like every May, I had a panic attack when I realized how little social studies I had taught all year because other “more important” stuff came up. Or a lesson ran over. Or I didn’t feel good, so I didn’t do my best and had to re-teach the same lesson the next day. That doesn’t happen now. Ever. Departmentalizing changes the way we speak at school: They aren’t “my kids” and “your kids;” they are “our kids” because we have a shared responsibility for educating the kids in 3rd grade. Departmentalizing also forces continuity among our classrooms. We all still maintain our own autonomy as people and teachers, but we have to be consistent in our management and our routines. This makes sharing students (for any reason) a breeze. 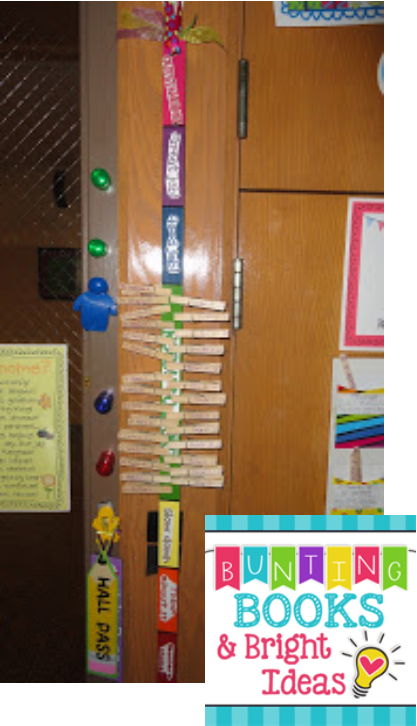 We all use a “clip stick,” which is just a portable clip chart. We love it! It helps keep us consistent! 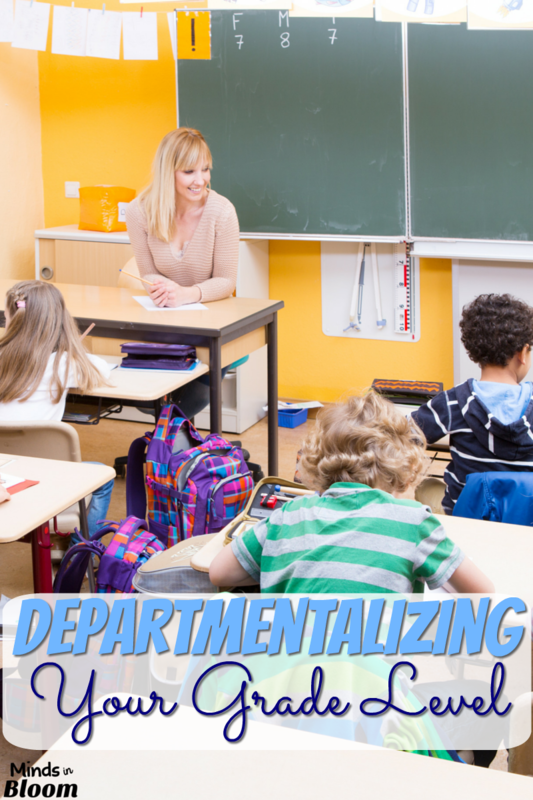 If you’re looking for more insight, tips, or thoughts about departmentalizing, click HERE to read more on my blog! If you’re thinking about approaching your administrator about departmentalizing, I’d encourage you to do so! It’s a great way to focus your teaching, provide important quality instruction every day, and share responsibility across a grade or team! Thanks again, Rachel, for having me! There are so many great reasons why this is a beautiful system! Even simply on the teacher/student bonding level, just seems like a great formula for more love, enthusiasm, joy, … less fretting! Mixing things up in this world where even Sesame Street moves quickly seems the wave of the future. I can hear your happiness in the tone of your post. Thanks for sharing your adventure. We do something similar but I think we need to work on building in that intervention time. It also seems to work better for the ELA teachers who see kids for a double block because they see half as many kids for twice as long. Teaching 4 math classes per day means seeing 80-90 students a day and never feeling like you connect with students for very long.